Spain has a diversified, modern, and competitive financial system which is fully integrated within international financial markets. Spain, the third-largest country in Europe, has a diversified, modern, and competitive financial system which is fully integrated within international financial markets. It is a democracy organised in the form of a parliamentary government under a constitutional monarchy and a full member of the European Union. Spain has a large, multicultural expatriate community and is one of the most popular countries of choice for foreign nationals seeking to relocate, or retire, to sunnier climes. STM Nummos is part of STM Group PLC and is dedicated to providing legal and financial services. With over 25 years’ experience in Spain, STM Nummos provide innovative and impartial legal, tax, and accountancy services to both non-resident and residents of Spain, and companies. STM Nummos has a solid team of high-level, multi-disciplinary, bilingual professionals who provide a wide range of comprehensive services in tax, legal, corporate and financial related matters. Under our insurance division (STM Nummos Life SL), the Spanish office also acts as intermediaries for Bupa Global and Sanitas offering comprehensive and affordable packages designed to provide international clients with bespoke healthcare solutions. Our multilingual team of international tax professionals offer a full range of tax services, including Spanish tax planning and compliance, international tax planning and structuring, VAT, company taxation, social security & payroll taxes, Spanish resident personal tax returns (IRPF) , Spanish non-resident tax returns (IRNR) and estate planning (family and personal inheritance). We offer innovative and impartial legal, tax and accountancy services for international private clients, their businesses and their families throughout Spain. Our guiding principle is to provide excellent personal service in clear and simple language so we can help resident and non-resident individuals and companies protect and grow their investments. We understand the importance of addressing your specific legal and tax requirements when administering your assets or business, often at a distance. 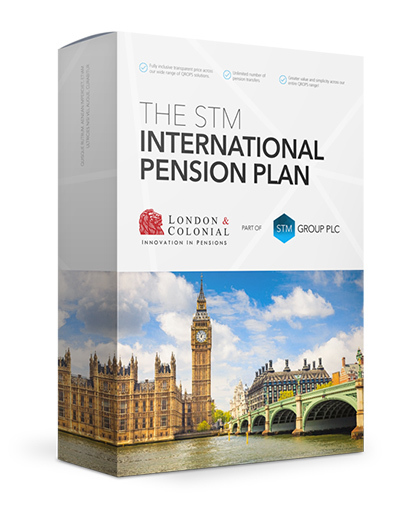 As part of the STM Group, we are perfectly placed to meet your needs. The accounting team offers full accounting support and services to companies. Services include management and accounting supervision, monthly accounts, preparation of financial documents and analysis, preparation of tax returns and declarations and payroll services. Our company management services include company formation and structuring, company restructuring, mergers and acquisitions, shareholder agreements, company secretarial services, due diligence, corporate governance and management of passive asset holding vehicles. When our clients undertake the important task of buying or selling a property, STM Nummos makes the process easier and less stressful, by bringing clarity and efficiency to the process. Services include conveyancing of all types of property, due diligence, preparation and negotiation of contracts for national and international real estate operations, planning issues, demolition, building permits and opening permits and administrative licences. As official intermediaries for Bupa Global and Sanitas health insurance, we have a wide range of plans specifically designed for expatriates. We can help you to choose the cover that is best suited to you and, if you don’t speak Spanish, we will liaise with healthcare providers on your behalf. OUR CORPORATE ADMINISTRATION SERVICES MEET THE BUSINESS AND INVESTMENT NEEDS OF WEALTHY FAMILIES AND ENTREPRENEURS. Our services ensure that companies are managed effectively from Gibraltar, including regulatory compliance and filings. We manage the full range of possible activities for companies incorporated in Gibraltar or elsewhere and can combine our services to suit specific needs.